In “How to Train Your Dragon,” the citizens of Berk had observed, measured, categorized and chronicled dragons for decades. They thought they knew most everything there was to know about these violent beasts. But when Hiccup, a small, anything-but-Norse-like-warrior boy comes into contact with one of the most feared and misunderstood dragons, his eyes are opened wide. 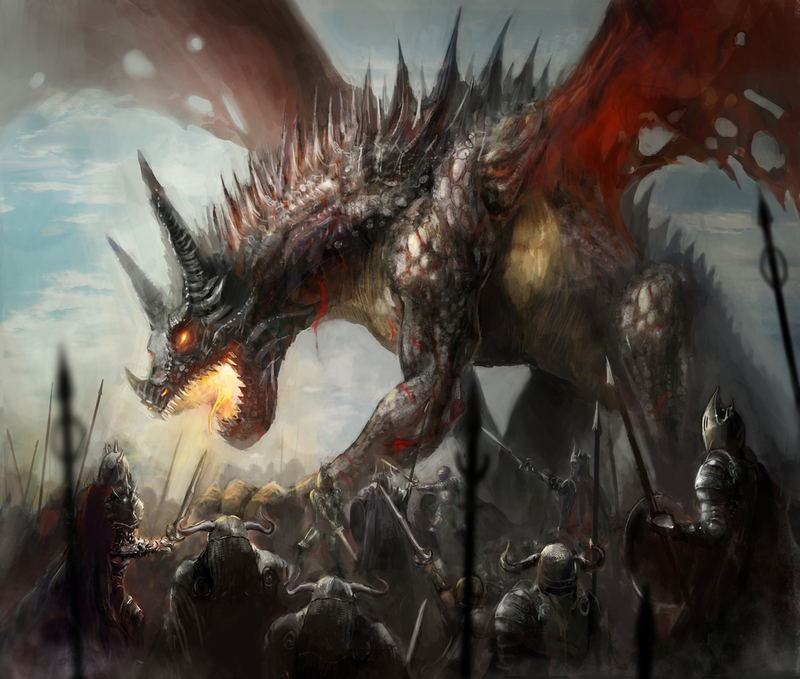 Putting aside his preconceived notion of dragons, he develops a loving friendship with “Toothless,” admitting, “Everything we know about you guys…is wrong.” Hiccup then sets his mind on changing those misconceptions still held by his fellow citizens. Italian researcher Dr. Maurizio Pompili offered a similar challenge during his brilliant plenary on the first day of the European Symposium on Suicide and Suicidal Behavior (#ESSSB14), held in Tallinn, Estonia (which was so beautiful, I would not have been surprised to see an actual dragon flying above the 13th century medieval Old City). Dr. Pompili asked us whether we truly understood what it is like to be suicidal. Like Hiccup, he challenged the suicide prevention and behavioral health community about our steadfast conclusions when we lacked first-person knowledge to confirm our beliefs. Some researches may have bristles when presented with such a challenge. Perhaps they questioned whether the rest of Dr. Pompili’s presentation would be grounded in firm science, or simply be the voice of sympathy. Then Dr. Pompili talked about the significant differences in observing people in love (and measuring, categorizing, and chronicling what is observed), and actually feeling the experience firsthand. He listed some of the descriptions of suicidality proposed by various leaders over the decades and they seemed to fall flat, like a second-hand description of love by someone who has never felt it…the adrenaline rush, giddy nervousness, shortness of breath, the crushing in the chest caused by absence, and, as time goes by, deep contentedness, connection and…well…love. “Love, like most first person experiences, is not discussed at suicidology conferences,” he added. But could we researchers and clinicians possibly “imagine how much these patients suffer” without our own firsthand experience? I thought back to how we have used “psychiatric distress” to describe the suicidal experience. By contrast, individuals who have experienced it first-hand sound like… well… like they have actually been there. Psychic ache vs. torture without end. The gulf between third person observations and the anguish of first person experience is profound. However, over the last decade, many of us have begun to chip away at this gulf, learning from leaders who have personally struggled and survived, their lived experience giving them the expertise we lack. Such interactions have led me to question the near religious belief our society holds about suicide as a choice. Rather, it seems individuals succumb when all their strength, supports, resources, and hope completely fails in the face of unimaginable pain. I also no longer subscribe to the idea that suicide is unpreventable for many (those supposedly “truly intent”). Zero Suicide is something I believe in and aspire to. I’ve been told by experts over the years that getting suicide survivors together in a room would lead to trouble, but in fact, the opposite has happened. We’ve witnessed true creative innovation and energy with an incredible focus on recovery, hope, and…love. Dr. Pompili is on to something big.Preach on, Hiccup. Everything I knew seems to be wrong. Danuta Wasserman, President of the European Psychiatric Association, launched the ESSSB conference by revisiting Estonian independence and the Perestroika movement, engineered by Michael Gorbachev in the late 1980s. It’s time for a social openness and political restructuring in Suicidology, too. The “old guard” of researchers, policy makers, family members, and practitioners must now welcome suicide attempt survivors. These survivors are like Hiccup’s dragons, unique and individual and far-too-often misunderstood. Athletes we worship. Marines who defend our country. Researchers, clinicians, and healthcare leaders who pour their own lives into their work. The come from every background and represent every profession. They are activists. They are storytellers. They are pioneers. Some of them have struggled with serious mental illness. Mostly, though, they are just like us. Human. Fragile. Worthy. Silouan Green reminds us “We can all get broken.” And Craig Miller tells us we can discover who we truly are and find recovery, whatever challenges we face. Dese’Rae Stage: Live Through This chronicles in photographs nearly 50 suicide attempt survivor stories and has been featured in the New York Times. Eric Hipple: Former NFL Quarterback was a keynote speaker at AAS 2014 in Los Angeles and author of Real Men Do Cry. Heidi Bryan: Long-time survivor leader and founder of Feeling Blue Suicide Prevention Council after losing her brother to suicide. Dequincy Lezine: First researcher to “come out” in the suicide prevention field about his own attempt some 20 years ago (Eight Stories Up), and first director of newly formed AAS Attempt Survivor Division. Kevin Hines: Internationally-known speaker on anti-bullying, wellness in the workplace, drugs and alcohol prevention. His book Cracked, Not Broken tells his story of surviving a suicide attempt by jumping off the Golden Gate Bridge (also interviewed in The Bridge documentary). Craig Miller: Author of This is How it Feels: A Memoir – Attempting Suicide and Finding Life, and speaker in break-through panel by survivors at AAS 2014 in Los Angeles. Kita Curry: CEO of Didi Hersch Mental Health Services, board member of the National Council for Behavioral Health and keynote speaker at AAS 2014 in Los Angeles about her own suicide attempt. Cheryl Sharp: National Council for Behavioral Health leader in trauma-informed careand suicide attempt survivor in panel presentation “Personal Stories of Recovery,” at NC 2013 in Las Vegas. Cara Anna: Talking About Suicide chronicles in interviews nearly 80 suicide attempt survivor stories and has been featured on National Public Radio. Silouan Green: Former top Marine, activist, survivor, and “voice for the lost and broken (the many among us with depression, suicide, PTSD, trauma” (Live Freewebsite). William Styron: American novelist famous for The Confessions of Nat Turner andSophie’s Choice. In 1985, he experienced a suicidal depression, which he later chronicled in a memoir, A Darkness Visible. Terry Wise: Former Boston trial attorney and national speaker whose suicide attempt following the death of her husband from Lou Gehrig’s Disease (ALS) is chronicled inWaking Up and an award winning video. Tom Kelly: Former consumer affairs leader for the Arizona Health Department, Magellan Health, and Centene, Tom has personally known 20 individuals who died by suicide and wrote about his own attempts in the 2012 National Council Magazine, Not Another Life to Lose. CW Tillman: Along with Stephanie Weber, Kate Comtois, and Jason Padgett, CW presented in a watershed plenary panel at AAS 2011 in Portland, Silent Journey: Helping Suicide Attempters and their Families. Leah Harris: A blogger (Speaking Truth to Power), dynamic story-teller, survivor and activist, Zero Suicide faculty member, director of the National Coalition for Mental Health Recovery, consultant to the National Empowerment Center (Dan Fisher). Katie Ayotte: My partner in the Magellan Health Zero Suicide initiative from 2009 – 2013, Katie was featured in Behavioral Healthcare Magazine in 2011 (New Perspectives) and her story “Journey to Hope” was in the 2012 National Council Magazine, Not Another Life to Lose. Marsha Linehan: world-renowned psychologist, author and developer of Dialectical Behavior Therapy (DBT), came out about her own suicide attempts in 2011 NY Times article, Expert on Mental Illness Reveals Her Own Fight. Eduardo Vega: Principle-investigator for The Center for Dignity, Recovery & Empowerment and co-lead National Action Allince Suicide Attempt Survivor Task Force and its Way Forward Report (also YouTube Interview: Power of Peers and Suicide Care). Here there be dragons. Like in “How to Train Your Dragon’s” fictional Berk, this phrase has been used throughout the millennia to warn of danger. And, we, too, have kept our distance from suicide attempt survivors. But, the phrase has also meant an unknown place, one to be explored. The above individuals are all fierce leaders, creative thinkers, socially aware and connected, and many strong friends, and we are simply better together.